John East and Nicola Rutt led an autumn afternoon walk on Saturday 20th October 2012 in the best traditions of the Society. 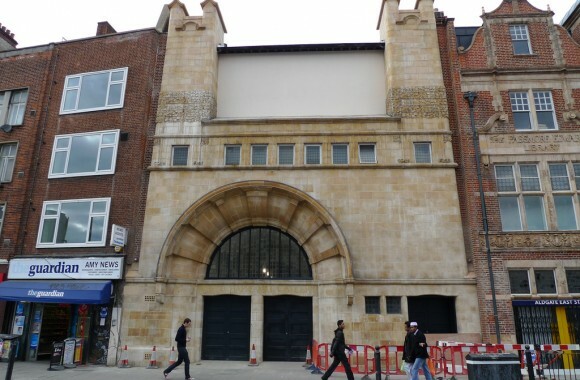 It spanned three tube zones, took in over 40 buildings along the Mile End Road and culminated in cocktails in a derelict industrial shed somewhere near the Olympic Park. An all-day church crawl led by Robert Drake on Saturday 13th October 2012. 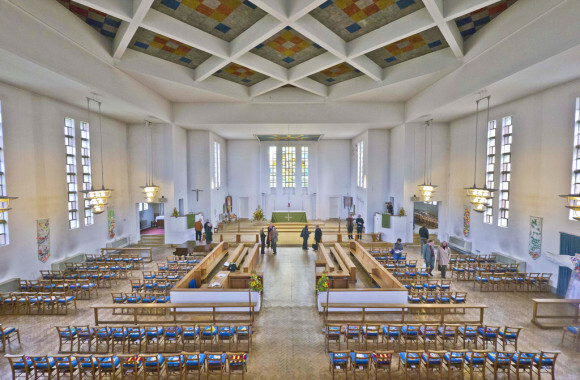 This included visits to five churches designed by J Harold gibbons; St. Francis of Assisi, Gladstone Park (1933), The Ascension, Preston (1957), St. Mary’s, Kenton (1936), St. Barnabas, Northolt (1954) and St. Jerome, Dawley (1933) as well as other twentieth century churches. Click on the image to see the full set of photos by Des Hill on Flickr. A walk around Woolwich led by Peter Guillary on Saturday 6th October 2012. 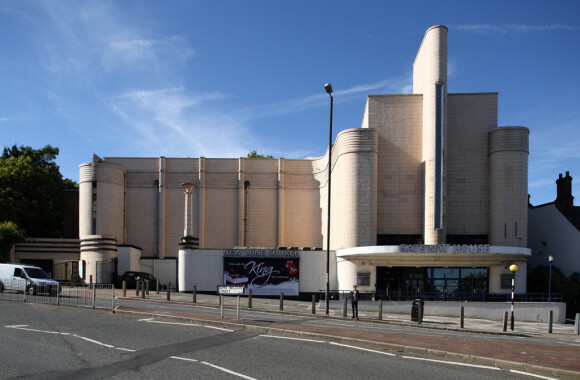 The tour included visits to General Gordon Square, Equitable House, Woolwich Town Hall, Woolwich Centre, Woolwich Central Health Centre, Woolwich Polytechnic, Co-op Central and Department Stores, Granada Cinema, Odeon Cinema and various examples of c20 housing. Click on the image to see the full set of photos by Steve Cadman on Flickr.